FORT LAUDERDALE/DAVIE, FLA. – Nova Southeastern University’s (NSU) H. Wayne Huizenga College of Business & Entrepreneurship is proud to announce the names of three South Florida business leaders who will be inducted into its Business and Entrepreneurship Hall of Fame, the Huizenga Business College’s highest honor. The 2017 honorees are: Jorge M. Pérez, Mark Templeton and Per-Olof Lööf. Mr. Jorge M. Pérez is the chairman and chief executive officer of Related Group of Florida, a leading developer of distinctive residential projects and the largest multifamily real estate development firm in Florida. In addition, it is the largest Hispanic-owned business in the United States. Its current portfolio represents assets under development in excess of $10 billion. Under Pérez’s direction, the company has redefined the South Florida landscape, building and/or managing more than 60,000 apartments and condominium residences. Pérez’s passion for vibrant urban centers is reflected in his community involvement in the arts and cultural affairs. He currently serves on the board of directors of the Pérez Art Museum Miami and is spearheading the capital campaign for its new Museum Park location in Miami’s Bicentennial Park. He also serves as a member of the Miami-Dade Cultural Affairs Council and is a director of the Miami International Film Festival. 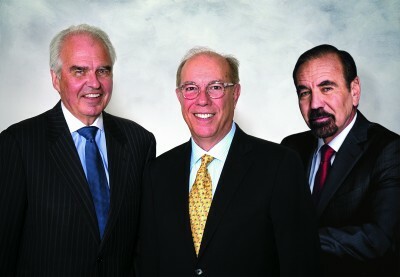 In addition, Pérez is a member of the University of Miami’s Board of Trustees. A recipient of numerous awards for his professional and philanthropic achievements—including Ernst & Young’s Entrepreneur of the Year, Hispanic Magazine’s Hispanic Achievement and Business Entrepreneurship Award, and The Beacon Council’s 2015 Jay Malina Award—Pérez is also an author. His first business book, Powerhouse Principles: The Billionaire Blueprint for Real Estate Success, became a best seller. Born in Buenos Aires, Argentina, to Cuban parents, Pérez grew up in Bogata, Colombia. He received his bachelor’s degree from Long Island University – C.W. Post Campus and his master’s degree in urban planning from the University of Michigan. In 2015, Mr. Mark B. Templeton retired from his role as president and chief executive officer of Citrix Systems. He had joined Citrix in 1995 as vice president of marketing, before the company’s initial public offering. He was appointed president in 1998 and chief executive officer in 2001. Under Templeton’s leadership, Citrix grew from a $15-million organization with one product, one customer segment, and one go-to-market path, to a global software industry leader with annual revenues of more than $3 billion and with more than 100 million users worldwide. During his 20 plus years with Citrix, Templeton championed a vision for a virtual workplace — powered by virtualization, mobility management, networking, collaboration, and security solutions — that enable new ways for people to work and live better. His energy and vision propelled Citrix into the technology, business and community spotlight. Templeton also nurtured a design-centered culture based on the values of respect, integrity, and humility, earning Citrix multiple “best places to work” awards. Today, Templeton is cofounder and executive chairman of 4Sense, Inc., a human motion analytics company. He is also a CEO mentor and an early-stage investor in a variety of new technology areas. In addition, Templeton serves as director of Equifax, one of the world’s largest information services firm, and Keysight Technologies, a global electronic test and measurement company. Templeton holds a B.A. in Product Design from North Carolina State University and an M.B.A. from the University of Virginia. He is the recipient of numerous awards and recognitions including an AeA Abacus Award for Outstanding High-Tech Executive, “Businessperson of the Year” (EVIE Award), and an Excalibur Award from the Sun Sentinel Media Group. Mr. Per-Olof Lööf is the chief executive officer of KEMET Corporation and the chairman of the board of NEC Tokin Corp., a joint venture between NEC and KEMET. Both companies are leading global manufacturers of electronic components with a total of 16,000 employees and operations in more than 30 countries. The companies have offices in Greenville, South Carolina; Tokyo, Japan; and Fort Lauderdale, Florida. Lööf is also the past president and chief executive officer of Sensormatic Electronics Corporation, the world’s leader in electronic security. He led the organization through a turnaround and managed its successful acquisition by Tyco International, Ltd.
Before Sensormatic, Lööf worked for NCR Corp., the world’s leader in ATM machines, where he was the senior vice president of the Financial Systems Group. Prior to NCR, he was chief executive officer for AT&T Istel, one of Europe’s leading providers of integrated computing and communication services. Previously, he worked at Digital Equipment Corporation, where he was vice president for the Financial Services Business and then vice president of Sales and Marketing, both for the European division. He was also a senior manager with Andersen Consulting in both the United States and Sweden. Lööf was honored by Ernst & Young as an Entrepreneur of the Year in the Carolinas in 2012. In addition, he was awarded the South Florida Business Journal’s Broward Ultimate CEO the same year. Recently, he was elected to the Royal Swedish Academy of Engineering Sciences (IVA). He has served as Honorary Consul of Sweden for the State of Florida since he received his exequatur status from the United States Department of State in 2006. Lööf has a M.Sc. in Economics from the Stockholm School of Economics. For more information on the Entrepreneur and Business Hall of Fame, please contact Alyssa Lovitt at loval02@nova.edu or 954-262-5035.